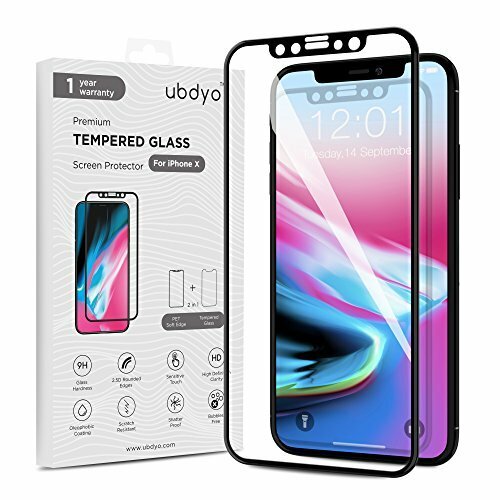 TECHNOLOGICALLY ADVANCED: Newest 2017 2-in-1 technology - 2.5D PET soft protective edge and iPhone X tempered glass in one 3D glass full coverage screen protector for iPhone 10. Our glass screen protectors have seamless curved edges (edge to edge) and protect full frame of the screen. 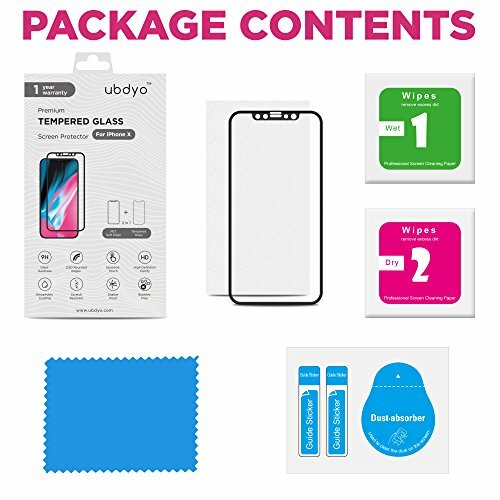 SUPER HARD: Made of the highest grade Korean tempered glass, this screen protector has 9H hardness and is scratch resistant. The screen protector has shatter proof membrane and is super safe. FUNCTIONAL: Our screen protector for iPhone 10 is ultra thin (0.3 mm) and anti-glare, maintains HD clarity and provides remarkable touch sensitivity being compatible with multi-touch, 3D-push, Face ID and Animoji. Our iPhone X screen protectors feel like real device screens. EASY TO USE: Installation of our tempered glass is absolutely effortless. The screen protector is bubbles-free. Being specifically designed and precisely cut for iPhone X, our screen protector is case-friendly and oleophobic coating makes the glass self-cleaning and provides anti-fingerprint effect. SUPERIOR SERVICE: We love our clients and provide 1-year unconditional warranty to every client who bought our iPhone X screen protector. Our dedicated customer service remains at your disposal 24/7.